Revolutionized TV news by creating the Eyewitness News Concept & Internet Advisory Service. What if television news reporters presented their own reports on camera directly to the audience viewing at home? It was a radical idea in August of 1965. That's when KYW-TV, Channel 3, Westinghouse Broadcasting in Philadelphia experimented with this concept. Today, it's the industry standard but it all started with Eyewitness News and a man by the name of Al Primo, the station's News Director. Al looked into the AFTRA contract and discovered there was nothing to prevent the station from using the journalist on air with his own story and no talent fee be paid above their regular salary. Veteran Philadelphia broadcaster was anchor and to give the broadcast a young, uptempo feeling Al selected a cut from the movie soundtrack "From Russia With Love" to use as the theme. In 1968, Al Primo left Philly to become Director of News and Public Affairs for WABC-TV, Channel 7, the ABC O&O station in New York City. There, he instituted the Eyewitness News concept. Both stations still call their newscasts EYEWITNESS NEWS. Marshall McLuhan, the communications theorist said that the concept of Eyewitness News was "a revolutionary event in telecommunications." The New York Daily News described Primo as the man "who almost single-handedly changed the face of broadcast journalism." By the way, almost 80 television stations copied the Eyewitness News format that Al Primo created and almost that number still call their casts, Eyewitness News. Keep in mind that Eyewitness News on WABC-TV has been number one for three decades. He was the youngest Vice President named at ABC in 1972, in charge of local news operations. 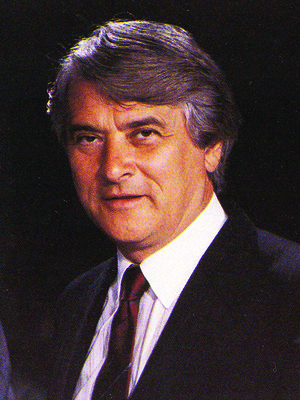 He joined ABC News as Executive Producer of the Reasoner Report in 1974. 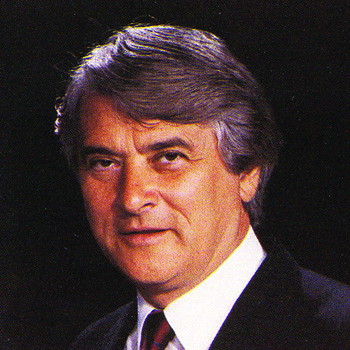 Al Primo founded Eyewitness Newservice in 1977 after ten years with ABC-TV. He is also an independent producer with many credits including developing an annual syndicated special, Black History, as well as the investigative news series, "Now It Can Be Told" with Geraldo Rivera, who Primo discovered and trained as a journalist with Columbia University. Al served as consultant in the development period and as Executive Producer of the program. Al Primo is also a founding partner of Medialink Worldwide, a public company that produces and dsitrubtes video news releases by satellite to TV stations in the United States and Europe. He is a performance coach for business executives and has assisted major political figures with their communications skills. He has expanded his vision to the Internet as co-founder and President of ForeignTV.com, a public company that owns and operates streaming video networks. He frequently appears as a media expert on radio and television and is currently writing a book on Eyewitness News. He is also a consultant for the CBS Evening News and has spoken on the subject of TV News at Fordham University, Columbia University, Roger Williams University, Arizona State University, and Hardin Simmons College. Al Primo also developed the world's first teenage newcast, TEEN KIDS NEWS, which is carried on 215 TV stations, covering 91% of USA. It is also seen in 1,000 locations in 177 countries via American Forces Networks. The educational version of the program is seen in 10,000 schools every weeek.